Step 1. – Register to view Auctions – it’s free! 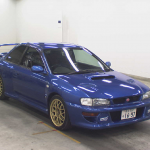 The very first step towards importing your next vehicle from Japan is to register for our auction site http://auctions.jdmauctionwatch.com, once you join you will have full access to auction listings for all vehicles at over 80 auction houses across Japan. There can be up to 25 different auctions on any given day! Once you register you will need to activate your account by clicking on the link you receive in your registration email (if this email does not come to your inbox, please check your spam folder). Once you have decided that you want to proceed and start the process of importing your next car you will need to contact us. Let us know your requirements, preferences and most importantly – budget! We will then work with you to discuss your options and get you setup so that we can accept and process bids on your behalf. This is the fun part! 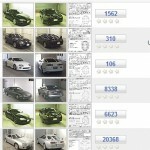 As soon as you see a vehicle you like you can put a bid on it through our system. Before bidding we will provide you with a full translation of the auction sheet (this is the sheet which comes with every vehicle and details any faults, repairs or extras, along with both interior and exterior grade) as well as this translation we will also provide you with an estimated sale price. Before the bid is finalised at most major auctions we have can have the vehicle inspected in person at auction by our highly experienced Japanese partners to ensure it meets the description provided in the auction sheet, should any issues be found your bid will be cancelled. When bidding the price you bid is the maximum amount you are willing to pay for the vehicle shipped to the UK including all charges and fees except for registration. 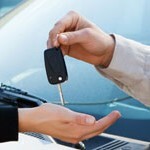 If the car sells for less than your maximum bid the saving will be passed directly to you. As Japan are ahead of us time wise, all bids must be placed by 10pm the night before the auction date listed and we will inform you as to the result of your bid the following morning. Once you win your vehicle at auction we issue an invoice and request a minimum payment of 75% of the total amount within 3 working days. Once payment is received your car is transported from the auction house to either Nagoya or Yokohama port, depending on what part of Japan the auction is located. (this usually takes an average of 5 working days but varies based on the distance of the auction house from the port.) Once your vehicle arrives it is prepared for shipping and photographed in detail (Hi-Res shots of all exterior angles along with engine and interior shots). 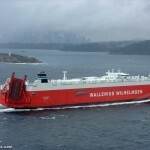 Shipping generally takes 8-10 weeks and we will supply you with boat tracking details so you can track your cars journey from Japan. For UK customers we can ship to Newcastle or Southampton – depending on your preference. 2 weeks prior to your vehicles arrival we will request the final 25% balance so that we can ensure there is minimal delay with customs clearance once your vehicle has arrived. 1. 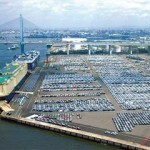 You can collect from the port, where our representative will be on hand to help organise collection of your new car! 2. Delivery to your door – please contact us for a quote. When you take ownership of your new vehicle we will provide you with all necessary documents needed to register it in any European country (Japanese De-reg certificate, De-reg translation, invoice, proof of customs clearance, along with a print out of your cars auction sheet and all images).